A 1099 is a form that the IRS utilizes to track payments businesses make to independent contractors. An LLC who pays an independent contractor or freelancer for some services in the LLC’s business must obtain and provide that independent contractor with a 1099 form. The business will not deduct state, federal, social security or Medicaid taxes from the payment. Accordingly, the 1099 is evidence that the independent contractor received income, and it allows the IRS to track that income. The independent contractor must report any 1099 income to the IRS and pay any necessary taxes on that income because the business did not withhold any taxes. The most common 1099 form is the 1099-MISC. 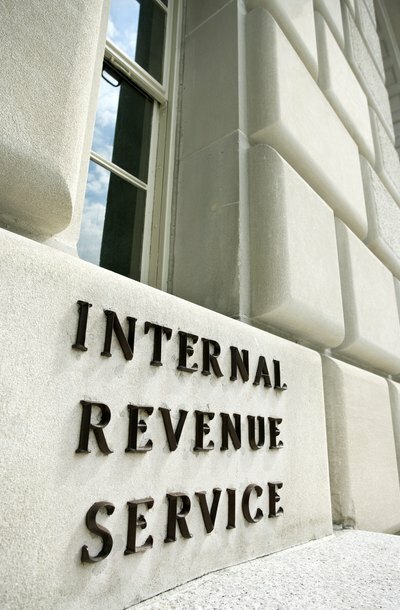 The IRS provides five scenarios where a business must provide someone with a 1099. If an LLC fits one of these scenarios, then it must provide the contractor or freelancer with a 1099 and submit a Form 1096 on its tax return to summarize any 1099 expenses. A 1099 is required for payments of $600 or more made to any contract employees, attorneys or accountants; for any payments larger than $10 for royalties, tax exempt interest or substitute dividends; for rent payments higher than $600, unless paid to a real estate agent; for any prize payments over $600; and for payments to members of fishing boat crews. This information is current as of January 2011. Small businesses often employ individuals as contract employees, subcontractors or independent contractors. By employing them as such rather than as traditional employees, the business may avoid a number of tax, regulatory and liability problems. However, if the IRS determines that an independent contractor actually is an employee of the company, then it may reclassify the business's tax liability accordingly. In addition, a court of law could find a business liable for the acts of an independent contractor if it determines that the independent contractor had the characteristics of an actual employee. The IRS may impose harsh penalties for noncompliance with 1099 rules. These penalties may include late fees, interest or both. The IRS may also impose penalties on businesses who improperly classify employees as independent contractors.